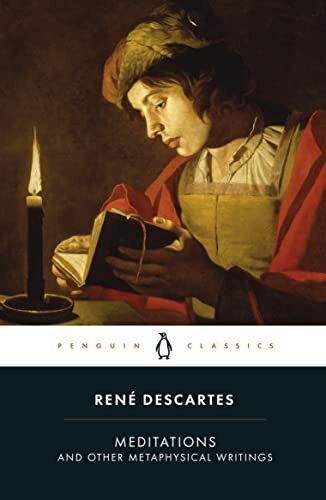 One of the foundation-stones of modern philosophy, René Descartes' Meditations and Other Metaphysical Writings is translated from the Latin with an introduction by Desmond M. Clarke in Penguin Classics. Descartes was prepared to go to any lengths in his search for certainty - even to deny those things that seemed most self-evident. In his Meditations of 1641, and in the Objections and Replies that were included with the original publication, he set out to dismantle and then reconstruct the idea of the individual self and its existence. In doing so, Descartes developed a language of subjectivity that has lasted to this day, and he also took his first steps towards the view that would eventually be expressed in the epigram Cogito, ergo sum ('I think, therefore I am'), one of modern philosophy's most famous - and most fiercely contested - claims. The first part of a two-volume edition of Descartes' works in Penguin Classics, the second of which is Discourse on Method & Related Writings, this edition includes extensive selections from the Objections and Replies, Part One of The Principles of Philosophy, Comments on a Certain Manifesto and related correspondence from 1643 to 1649. René Descartes (1596-1650), generally regarded as the founder of modern philosophy, was born in La Haye (now called Descartes) near Tours, and educated at the Jesuit College of La Fleche. Like many of his contemporaries he contested the value of an education based on Aristotelianism and, after leaving college, attempted to resolve the sceptical crisis of his age by devising a method of reasoning modelled on the rigour and certainty of mathematics. If you enjoyed the Meditations, you might like Immanuel Kant's Critique of Pure Reason, also available in Penguin Classics.